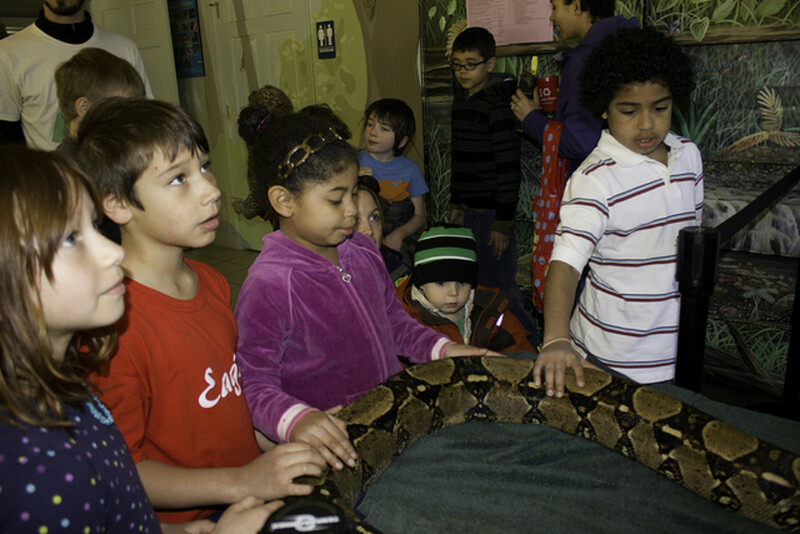 Most former public school attendees in the U.S. have fond memories of the zoo field trips that take place towards the end of the year during the long-awaited spring transitioning-to-summer climate. “Zoos are educational” “Zoos inspire generations of children to care about wildlife and conservation—many sources claim. In fact, most nature centers, private animal holding facilities, and aquariums will boast about their educational value whenever their existence is challenged. This notion is often questioned by (mostly) animal rights activists who disapprove of keeping certain animals in cages. Perhaps the biggest source of debate amongst the public has stemmed from the documentary Blackfish about the apparent lack of education contained within the dazzling animal shows and falsified information for the sake of avoiding dissenting opinions (i.e. killer whales live longer in captivity). Does the presence of living animals present learning opportunities? Was it ethical for the Copenhagen Zoo to euthanize Marius, a two-year old giraffe, due to lack of space for conservation efforts? A popular peer-reviewed study that addresses the educational impact of zoos is this one; Why Zoos & Aquariums Matter: Assessing the Impact of a Visit to a Zoo or Aquarium, which was published in 2007. This study was conducted by the Association of Zoos and Aquariums and funded by the National Science Foundation. Information for the study was gathered by surveying zoo visitors. ...a conclusion that is beneficial to the study’s contributors. The study suggested that visitors had a change in attitude toward conservation, biodiversity, and ecological education. This study has not gone unchallenged. As an obvious threat to opponents of zoos, Lori Marino (who was featured in the documentary Blackfish and other anti-captivity media) responded with another peer-reviewed study that was created to discredit the zoo-affirming study ("we address whether this conclusion is warranted by analyzing the study’s methodological soundness"): Do zoos and aquariums promote attitude change in visitors? A critical evaluation of the American zoo and aquarium study. 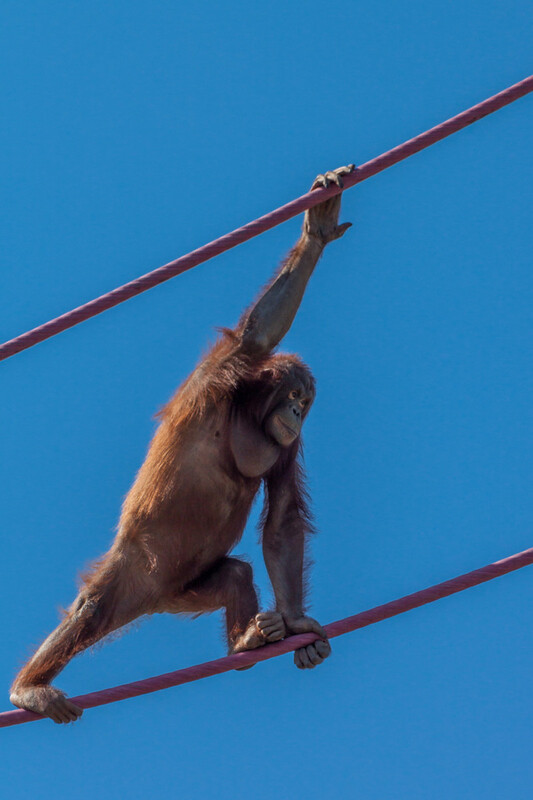 The study includes pretty damning implications such as labeling zoos “…generally accepted forms of entertainment, with little thought given to their purpose or the trade-offs associated with the capture and confinement of animals” and “….rebranding themselves as agents for species preservation and public education. The introduction must be read in its entirety to fully appreciate the searing rhetoric-infused scientific approach. But Marino makes sound points. "Marino’s criticisms, however valid, illustrate the issue with nearly every study of this nature and the sheer impossibility of designing the perfect study that can help us find ‘proof’ to the answer of whether zoos are educational or not." and the ever popular yet truthful causation doesn’t equal causation. Marino’s criticisms, however valid, illustrate the issue with nearly every study of this nature and the sheer impossibility of designing the perfect study that can help us find ‘proof’ to the answer of whether zoos are educational or not. Every stitch of that question is horrendously complex and grounded in immeasurable psychological variables which human beings are endlessly subjected to. Another study by Brady Wagoner and Eric Jensen, called Science Learning at the Zoo: Evaluating Children’s Developing Understanding of Animals and Their habitats provides interesting findings for the zoo’s role in early childhood development. 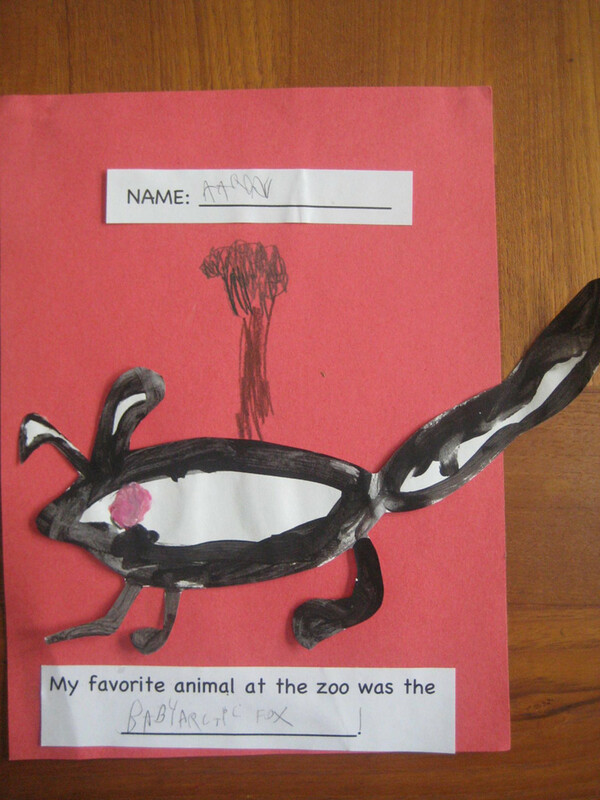 To obtain an understanding of the change in thinking that the young students went through after their zoo visit, they were asked to participate in a drawing task involving animals and their habitats. The study found that the zoo visit ‘refined the children’s previous knowledge’ from an educational lecture that they attended before the zoo. 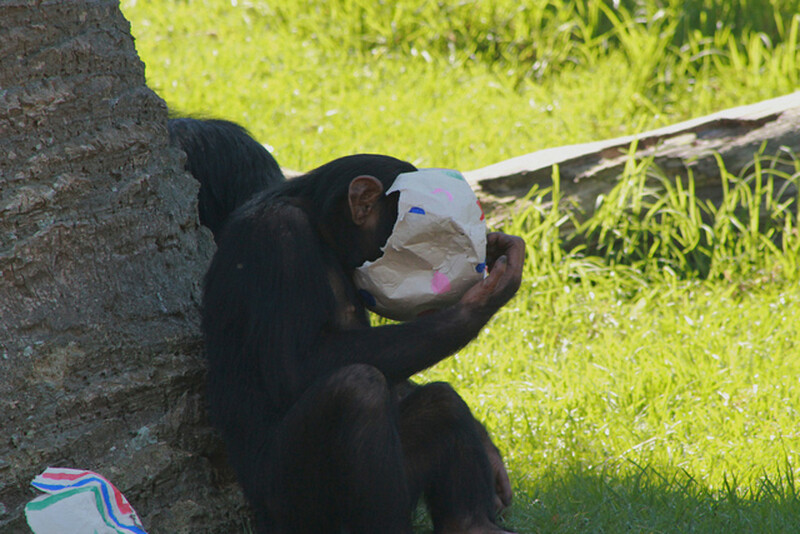 “…a visit to a zoo will reveal a great deal about the adaptation of animals to captivity”. 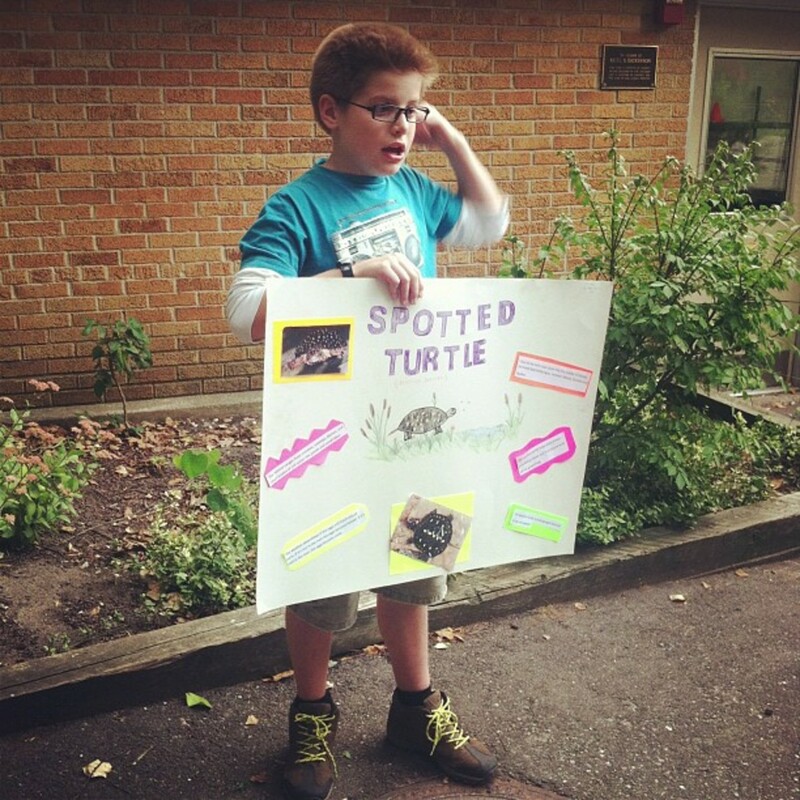 “The use of signage, interpretative graphics, worksheets and presentations by staff increase awareness and knowledge for children and adults alike and result in a stimulating visit to the zoo. Education and interpretation will increasingly utilize modern information technology, allowing direct links to in situ conservation programmes which zoo visitors help to support". “In this article, we make the assertion that learning potential, although difficult to quantify, is very much related to the attractiveness of animal species and the interest that visitors show in them”. I vividly recall volunteering at a nature center about 40 minutes outside of the New York City area. I was asked with the other volunteers to bring the tortoises outside to sun themselves and eat grass in the front lawn. An older woman visiting the center seemed enthralled by the animal, gazing at it for an extended period while I unenthusiastically engaged her, not finding tortoises very interesting (being a reptile owner). She remarked of how amazing it was to see such an animal up-close and how she was rarely exposed to such animals in her city dwelling, which she obviously must have lived in her whole life. And just like with any form of teaching tool, it must be utilized properly for maximum benefit. A pencil compass can be used to poke holes into a sheet of paper by a bored student, or it can assist teaching the student about the degrees present in a circle, plus the concept of circumference and diameter. Therefore, I imagine that a zoo will have minimal impact for some visitors who are not self-motivated due to lack of interest in what they’re seeing, just as a substantially educational lecture on chemistry would fail to teach me about SN2 reactions if I chose to sleep during it. 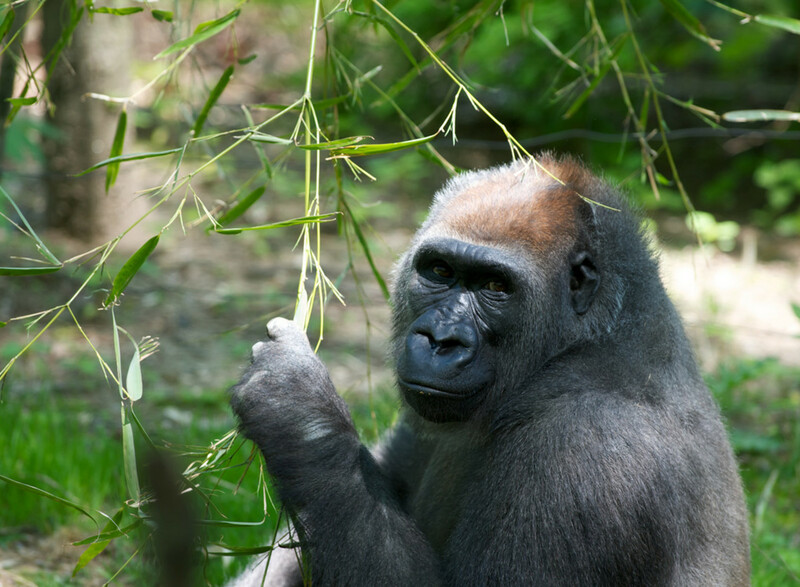 Many zoos offer some of the most presentable and entertaining means of introducing children (and adults) to scientific concepts, but this will only go so far in cementing more nutritive information to the less enthusiastic crowd and adults who think zoos exist mainly as children’s entertainment and 'tune out' during their visit. The information cards planted on the exhibits exist for the interested, and they certainly do serve a purpose. The strength of benefit obtained from zoos will also depend on the quality of the zoo’s educational programs, exhibits, and presentations. How do we learn from animals in cages? 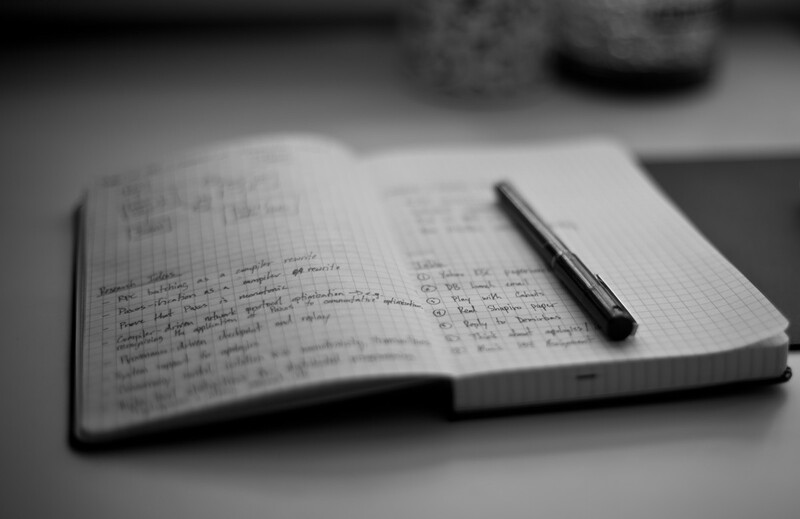 How do children learn? Why do educators glorify and encourage activities for children where they touch, hear, smell, taste (when applicable) and engage with new experiences? Some people feel that children can learn essential lessons from taking a walk in the woods versus being stuck in the classroom. I can personally attest to the excitement that the presence of a live animal brings, especially when you are a child that, like most, has an interest in animals but has parents who are unaccommodating with allowing pets in the house. Live animals naturally invite attention, which would make lectures about that animal far more fruitful. Yet, this attention can easily be lost in a typical zoo's stimuli overload and endless exhibits along tedious walking trails. Argument: Visitors rarely spend more than seconds looking at animals. Children can learn about animals like dinosaurs without ever seeing them. 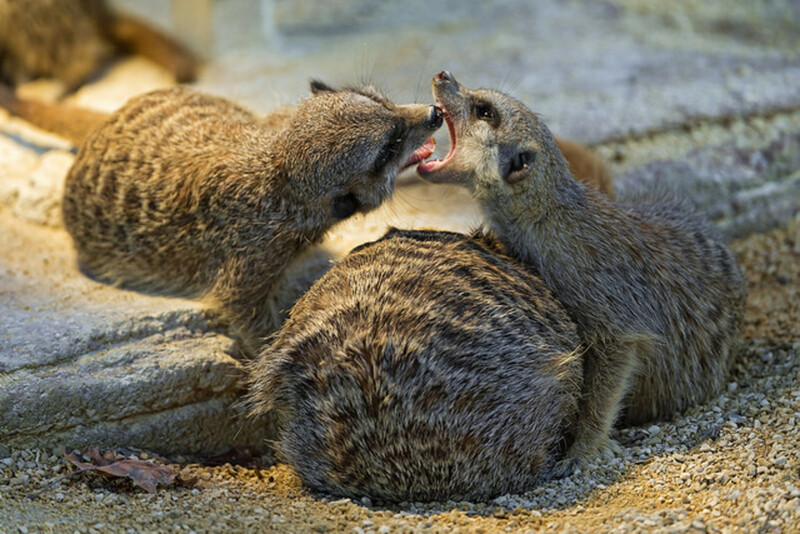 Some studies have determined that on average zoo visitors spend approximately 3 seconds to 2 minutes at each exhibit. This sounds about right. Most kids (and adults) bypass exhibits featuring ‘boring’ animals that are small or resemble the ones that live in our own backyard, sleeping animals, and enclosures with animals not in clear view. Another factor that certainly adds to brief viewing times (in my experience) are the crowds, and the general politeness of allowing the hoards of people behind you a chance to see on crowded days. When an interesting animal is actually moving and behaving (educational opportunity) crowds are likely to become even more congested in that area. This is not technically the zoo's fault, but it certainly hampers educational impact. But in most cases, exhibits will be briefly viewed before the visitor moves on until something interesting catches their eye. Zoos are essentially living museums, and zoo detractors often forget this. 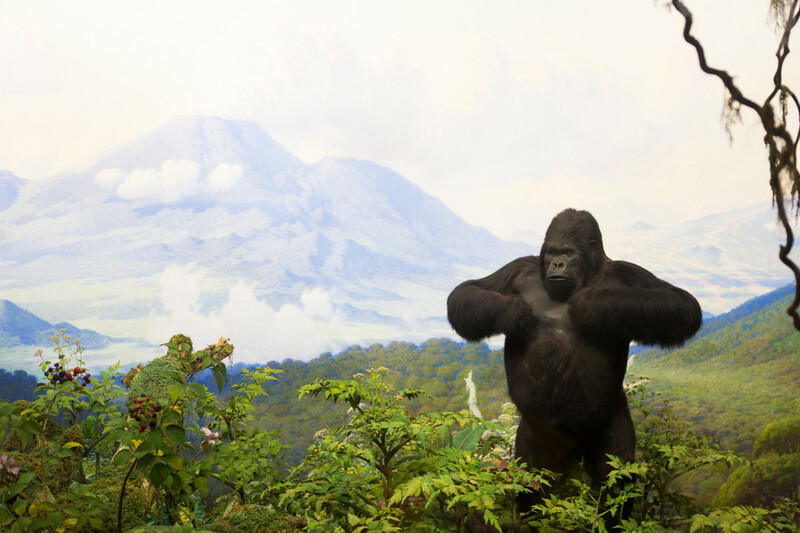 Museums such as The American Museum of Natural History in New York City, which never seem to have their educational value contested, essentially have similar set ups to zoos with their taxidermy collections and written descriptions of the animals and environments depicted. I don’t recall spending too much time at each of these displays as a child either. With exhibits about dinosaurs, I generally scanned the bare bones until famous recognizable species appeared (T-rex, triceratops), and even upon seeing these, I didn't read the written information. This is even more true for botanical gardens, which also have educational value but probably have information cards that are rarely read. Speaking of dinosaurs, one argument by the anti-zoo side is that children are perfectly capable of learning about animals without seeing them, hence their natural understanding of the large extinct reptiles. However, as a dinosaur fact-infused youngster, I had little interest in the bones of impressive-looking but still not so interesting extinct mammals of North America that were in the room next to the mammal-like reptiles. 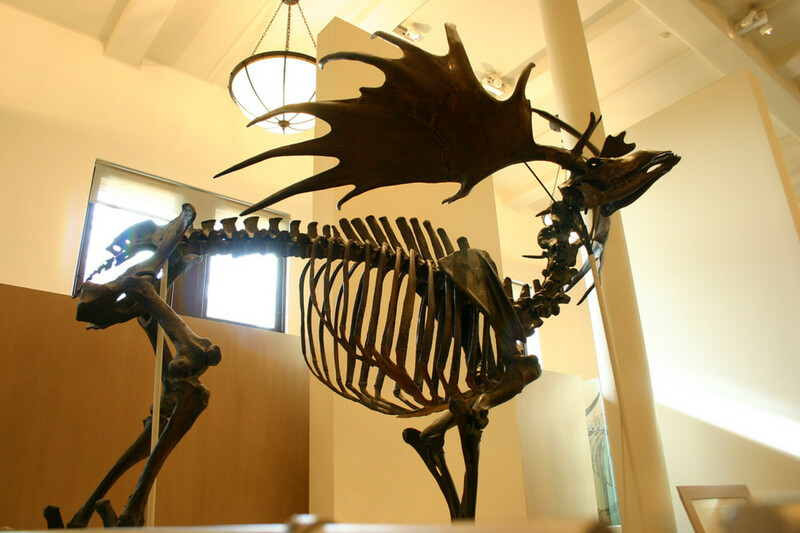 What appeared to be a gigantic moose, a dog-sized horse, and woolly mammoths—were not so interesting. I can only imagine the awe I would experience to see those animals in the flesh however. I find the dinosaur comparison to be a bit short-sighted, as there is a reason that children tend to be more interested in an allosaurus vs. their real-life song bird relatives. A small animal like a finch for example, will be 60% more interesting if it is alive for children to see. The most popular dinosaurs look like mythical, dangerous creatures and barely resemble the way animals look today, so the attention they get is unsurprising. Chances are that zoos with their living animal collections will engage children (and adults) for longer periods, particular if the animal is presented with a speaker. What Do We Learn at the Zoo? by Robert Summer covers this topic. 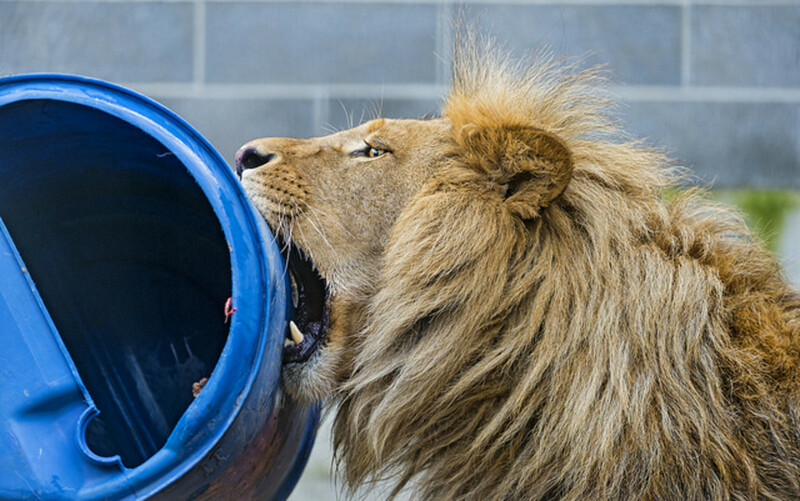 Can we learn about animals that are living in a confined, captive environment? 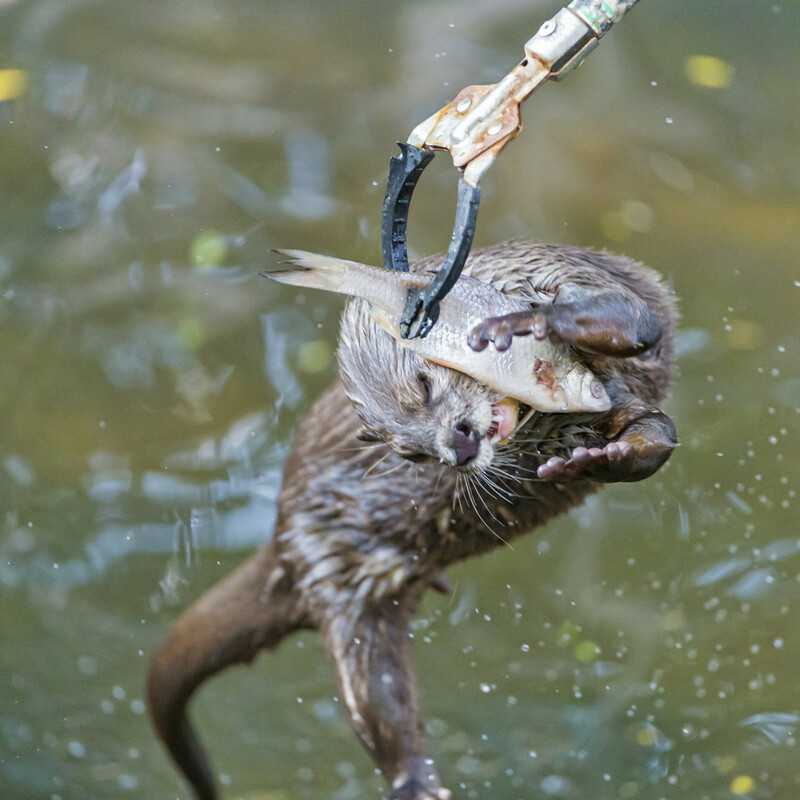 It might sound unconventional, but I believe we have a lot to learn from animals when they are removed from their natural habitat, because in doing so, we can understand the degree of which 'nature vs. nurture' has in their behavior. For instance, a person raising a goose will learn that this bird will imprint on humans with ease and will have no interest in migration if not taught how to do so (i.e. Fly Away Home). So in effect, we are learning about animals based on how they act when they lack. This can unfortunately sometimes be negative, such as the presence of stereotypic behavior, but good zoos are developing enriching methods to curb this problem, and this also can mean education for the public. Based on the essential species-specific enrichment that animals need such as walking space for elephants, foraging cubes for monkeys, and even hamster wheels for rodents, we can deduct how that species lives in the wild. 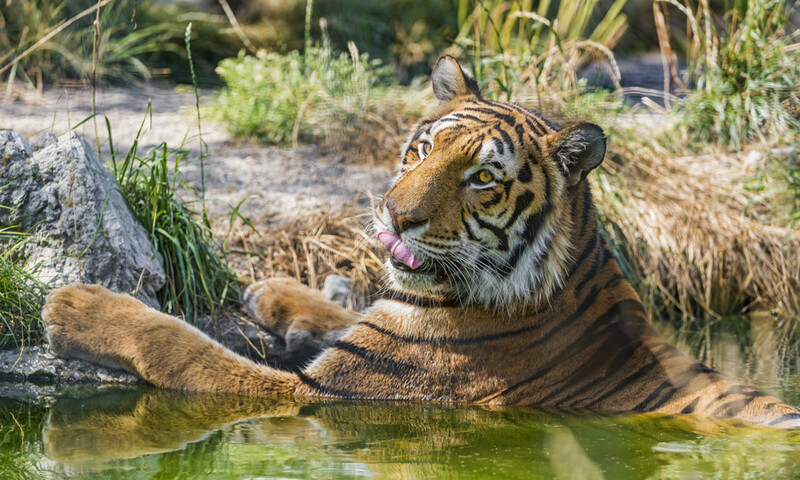 We can learn that tigers absolutely love to swim in contrast to lions. We can recognize the importance that foraging has with many animals for their mental well-being. Despite the unnatural appearance of common enrichment devices, thoughtful minds can deduce that these objects are mere substitutions for natural features. There is a lot of controversy regarding animal 'performances', and this is where the SeaWorld controversy comes into play. Many find any scenario where there is a performing animal to be disrespectful to wildlife, circus-like in nature, and sometimes even cruel. Having animals perform is not cruel in nature, but using cruel methods to get animals to perform is. Luckily, operant conditioning techniques utilizing positive reinforcement work wonderfully for any animal (here is a video of me training a spotted genet with the same method Seaworld and others use). More importantly, such training actually provides essential enrichment to zoo animals and makes them easier to work with for vet check ups. While performing cetacean shows ignite a lot of debate, they are not much different from other zoos shows that have trained parrots, sea lions, and basically any animal that can be brought out to amuse a crowd by doing a behavior on command. SeaWorld's shows may be flashy and silly (and perhaps a little lacking in the education department), but they are providing essential enrichment to the animals while putting their species in the spotlight. Animals like hyenas have the added benefit of looking 'cute' when they normally aren't considered as such, and this might make people care more about their related conservation programs in addition to the charismatic species. Does presenting cuddly exotic animals make people want to keep them as pets? In my opinion, there's nothing wrong with keeping exotic pets! And yes, some people do have a natural desire to want to experience animals up close, and owning them is the ultimate experience in this regard. But do zoos promote the practice? If you're like me, the answer is actually yes. After every live animal presentation at day camp I found myself wanting one of the 'ambassadors'. First a chinchilla, then a prairie dog. But I naturally gravitate toward pets because that is my true interest. Millions of people attend zoos every day and 'real' exotic pets are highly uncommon in households. There's probably a 'me' sprinkled in every large crowd, but we'd likely find our pet keeping passion through some other means eventually. I think that for most people when they say they would like a pet tiger, they are probably joking. Even something as exciting as live exotic animals can get monotonous to some people after many visits.The modern zoo can sometimes be a place of amusement recreation. Larger zoos often draw visitors with IMAX theaters, non-animal related rides, and even water parks. Many of these attractions are not educational but they do attract visitors which helps keep the zoos afloat financially, and that can contribute to research and conservation-related causes. What are the most effective means of education? 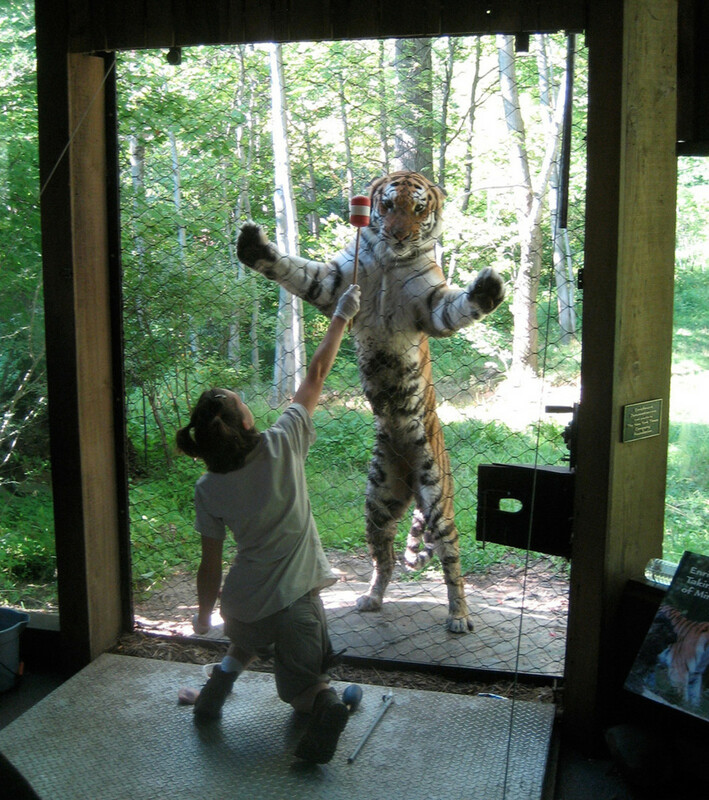 People often forget that some zoos are not just holding facilities for animals that people walk through. They present numerous opportunities for children's educational programs and adults alike. Smaller nature centers may not be thought of as 'zoos', but that is exactly what they are when they maintain captive animal collections, which can prove to be an integral draw of visitor interest. 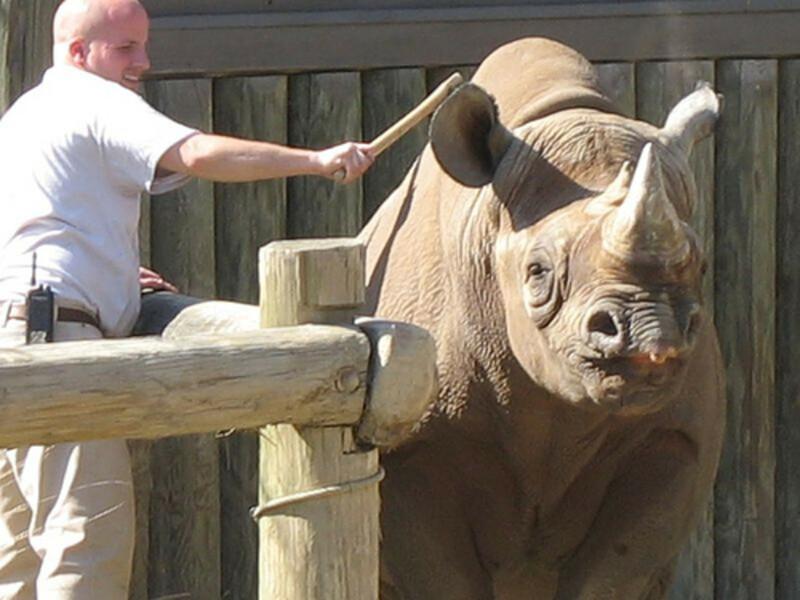 Zoos also have programs where presenters travel offsite to give lectures about animal science and conservation with their 'animal ambassadors' in tow. No nature documentary or picture book can compete with a live exotic animal visit in grabbing a child's attention, I believe. There is some valid criticism regarding the educational experience of milling through a row of cages, but as some studies suggest and common sense dictates, presentations, including trained animal demonstrations, are powerful learning tools if the speaker dispenses the right information. 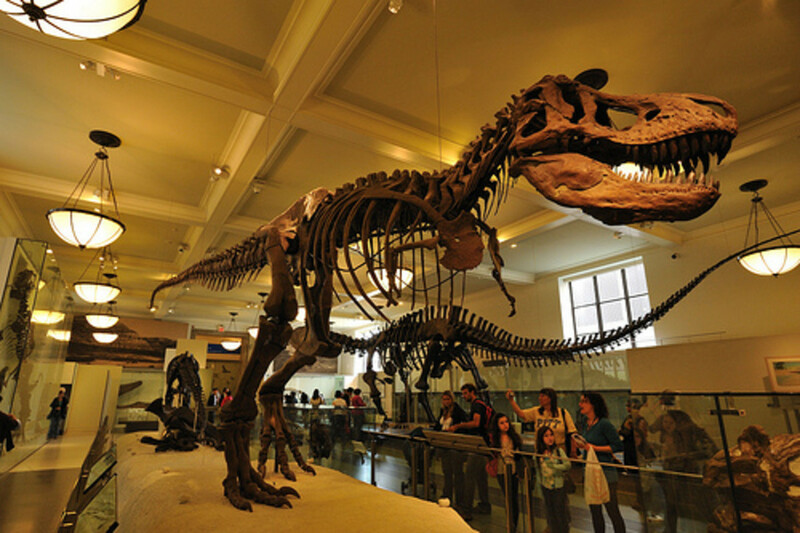 Exhibits that are routinely visited by speakers who can talk to visitors. Live animal presentations where a speaker brings out one animal at a time and dispenses information about habitat, related conservation issues, and behavior. 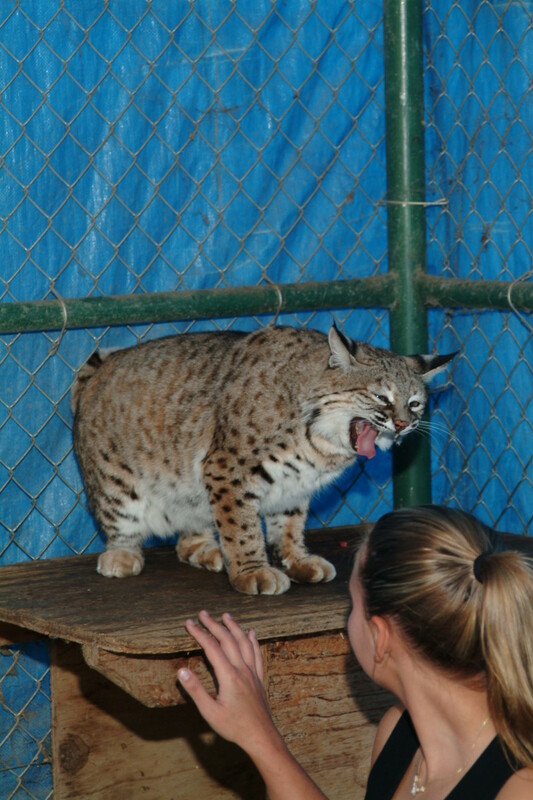 Days camps for children which provide animal husbandry involvement and/or talks about conservation and science. 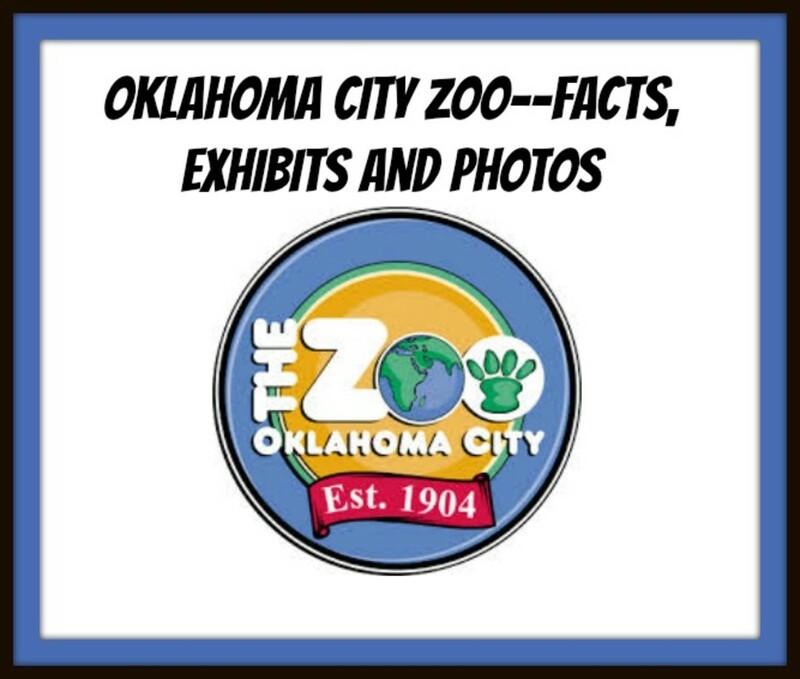 Guided tours through the zoo where a speaker puts animals into an evolutionary context, or discuses ecological principals while giving general animal facts. Tram/bus/monorail rides can also serve this purpose if there's a speaker. At the zoo, presentations where animals receive their enrichment, and discussions as to why this is important and what natural behavior it is hoping to emulate. Training sessions with animals and the process of how it is achieved. A video presentation aired before entering a certain exhibit area that can discuss what animals the visitor can expect to see and their regional significance/biodiversity. So what have we learned? The truth about the educational value of zoos is that no one can really understand the impact they are having on a quantifiable level. It's difficult to imagine how our society would be without exposure to animals through zoos (and pets) and wonder if this would be positive or negative for animals and conservation. Zoo detractors can dispute studies that verify people learning in zoos but that is certainly not evidence that they do not. In addition, people vary as individuals and each experience is different. I would caution a zoo enthusiast from highly regarding studies or claims that zoos are inferior forms of education when they originate from sources who have their minds made up that zoos are moral crimes. It’s hard for a person to consider that zoos might be beneficial for human education when they are fixated on the idea that animals in zoos are suffering and living an abysmal existence. Make no mistake that it is also my belief that education (and conservation) is not worth animal suffering, but I do not consider captivity synonymous with suffering. I believe zoos present learning opportunities, in addition to their endless potential to contribute to in situ conservation efforts. Zoos drag millions of promising unique brains through their trails each day and may inspire a future herptologist, zoologist, or conservationist. Even the disrespectful, dimwitted zoo visitor that makes jokes about the animals and gets upset that a certain animal is not visible all the time still has to pay admission that will aid conservation efforts economically. While not everyone will benefit to the same extent of another, or at all, the percentage of people who do still count. Encounters with zoo animals help kids consider deeper moral questions about what nature is worth, and what it means to exercise good stewardship. I would like to use this site as a source for a paper that I am writing... is that ok? The best case scenario for a "zoo" is a living arc scenario, which many ethical zoological gardens focus on. This means saving a species that is endangered, (One reason might be from the terrible ways animals were "harvested" at the turn of the 19th century, mainly, most not even surviving the boat ride back to the US and Europe and lack of knowledge about their reproduction and survival) A whole chimp colony might die trying to defend the couple of babies that people like Frank Buck and others stole from the mothers they killed. Gorillas were thought a legend until white man "discovered " and captured them around 1900, now they too, in a little over 100 years, are highly endangered. The nature of a zoological arc might be to display a certain not-too-dramatic bird or antelope and raise it's status and numbers in captivity so it can be someday reintroduced to the wild. But kids don't want to see the brown bird and the antelope. They want to see lions and dolphins, both prodigious reproducers. The result is euthanasia of many lions, or selling many off to seedy parking lot "shows", same as the dolphins, many are sold to chinese business men who open up a fourth rate sea world with inadequate depth and condition and depth and temperature of water, same with other animals, like the murdered giraffe. They are beautiful animals that people want to see, but not ones that need to be in captivity. People like them best? Too bad people. Get used to appreciating the less exciting brown birds and antelopes. Of course zoos loose a lot of money this way too, but fortunately there are enough philanthropists and zoologists looking into the big picture. No, not enough. some. Yes I am the author, aside from the quotes from the studies I used which should have the links there. Hello, I would like to use this as a source for a paper I am writing. Are you the original author? If not, would you please provide me with where you found this story? Bob Bamberg, your comment speaks volumes. Thanks. Boy, you put a ton of work into this one, Melissa! Great job. I served as a docent at our local AZA-accredited zoo for about 5 years and enjoyed it immensely. We had a particularly progressive outreach effort and brought our zoomobile to scores of schools and community functions. The kids were great audiences because they had few preconceived notions, while adults did. And the kids were always more curious and asked more questions. I found it very rewarding to teach folks about the animals' lifestyles, habitats, etc., and also a little insight into "behind the scenes" at the zoo, including our role in the SSP program. We also had education animals that we could bring out, under certain conditions, so that people could see details and perhaps touch the animal. I, too, found the "time spent at each exhibit" curious. A good exhibit will have features that allow animals to "come off display" as it were. Or, sometimes they'd be inside. If the animals weren't immediately visible, people would move on very quickly. I often had the opportunity to bring people back to an exhibit by pointing out something such as: "Oops, you missed him. If you look just to the left of that rock, you'll see him lying down in that little sun-dappled area. His markings allow him to blend in with his surroundings, making it more difficult for predators, and people, to find him." The more interactive we docents were with the visitors, the more they learned, and the more they enjoyed their visit. For me, the icing on the cake was to hear a parent tell a child, "If you look just to the left of that rock..."
The zoo...and our mayor and city council...often got feed back from visitors; almost always positive and always something about how their experience impacted them. We'd learn that people subsequently donated to various animal advocacy groups, joined a rescue or shelter group, wrote letters supporting or condemning certain situations, etc. While there were some people who mocked the animals' behavior ("Look at that, isn't he just being so silly), banged on exhibits, tried to sneak food to them, etc., my personal experience is that people came away with a new found understanding and respect for the animals. 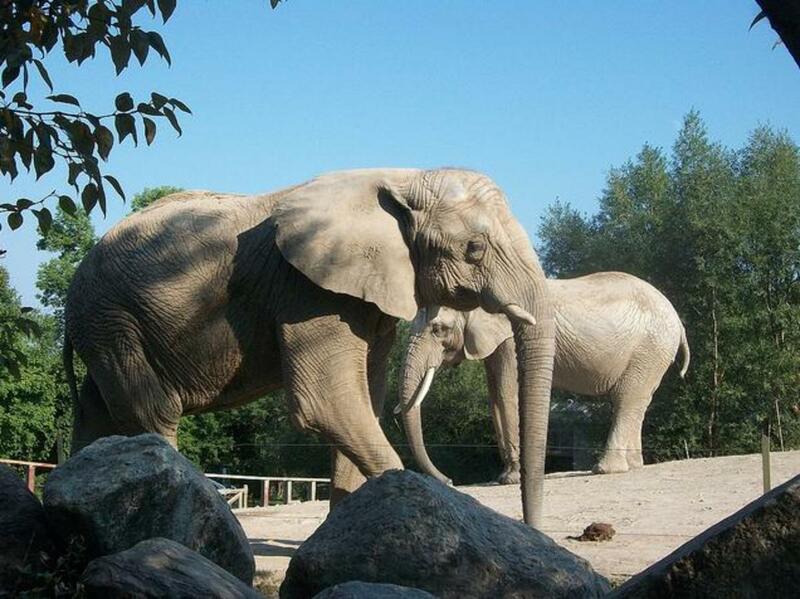 While there are still some roadside menageries that ought not to exist, there are many fine zoos that are educating the public as they themselves learn more about the animals. 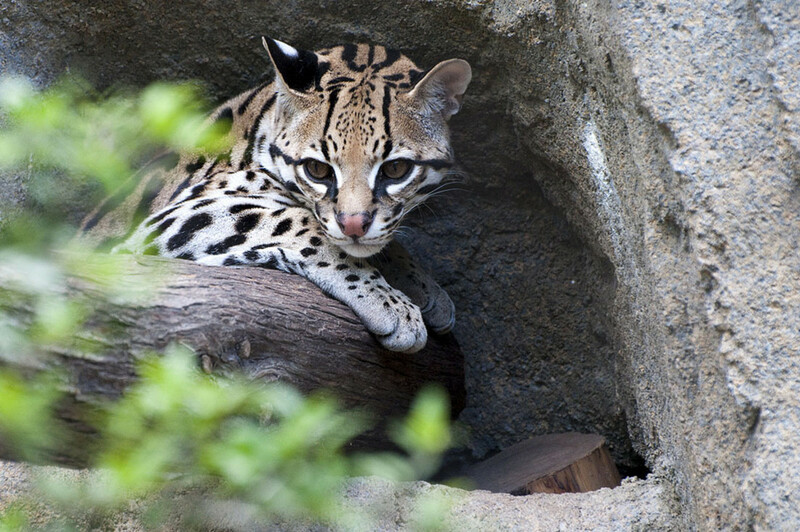 Some zoos also breed endangered species under the strict guidelines and watchful eyes of the SSP program, and provide valuable observations and information that enhance our understanding of various animals and our ability to improve their chances for survival. There will always be the debate about keeping wild animals in captivity. When considering the broad picture, I support the practice. Great hub and great comment stream! Voted up, useful and interesting. Amazing Hub. Well researched and presented, in a very balanced style. Your knowledge of the topic was obvious and the images beautiful. 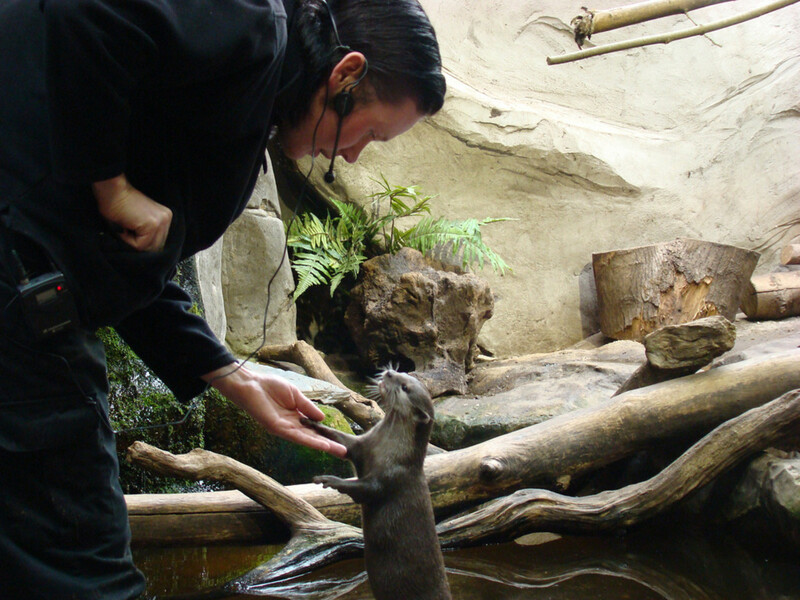 Personally, I still have great memories of visiting the zoo in Wellington New Zealand when I was young. Whether it inspired greater appreciation for their welfare is hard to say, but i don't believe it detracted from it. Congratulations on your Hubpot award. Well deserved. Voted up and awesome. Thank you Purpose Embraced and Tracie. Zainab, sounds like your nephew is getting a lot out of the experience. Great hub! My nephew and his Dad visit the zoo every chance they get, sometimes on a weekly basis. He loves animals and can name so many types of them easily. I think it's great exposure and helps expand the child's mind. I'll definitely be doing this with my own children when they're old enough. Thanks for your insightful hub on the educational value of zoos. I have great memories of visiting the zoo as a kid with other students from my school! You should create some hubs based on you knowledge of prehistoric animals. Amazing information!!! Sounds awesome MPG. They are certainly fun. On a recent holiday we visited Singapore Zoo (an open-style zoo). We were lucky enough to have "breakfast with the Orang-utans", it was amazing to be so close to these wonderful animals. Zoos are definitely educational as well as being fun. Great hub, voted up, pinned and shared. Pterosaur are flying reptiles that evolved separately from birds, and they aren't dinosaurs because that term applies to animals descended from the orders Saurischia and Ornithischia. This is based on the continuity of fossil record (hip joints) so we can determine evolutionary relationships. Dimetrodons are synapids (like mammals) and more closely related to mammals, defined by features in their skull, but they appeared before dinosaurs. Plesiosaurus-type animals are also not dinosaurs. These terms are just based on cladistical methodological but the term dinosaur turned into an adjective describing all of these prehistoric reptilian animals. So I suppose there isn't a name to call them akin to dinosaur. I call pterosaurs archosaurs but that name includes dinosaurs too. OK...I'm curious...what are pterodactyls and dimetradons if they aren't dinosaurs.? Tracie that is cool to hear. That's exactly one of the suggestions I made on my hub "how to make zoo visits educational for children". Although I have no experience with children, so I'm glad to hear that works! 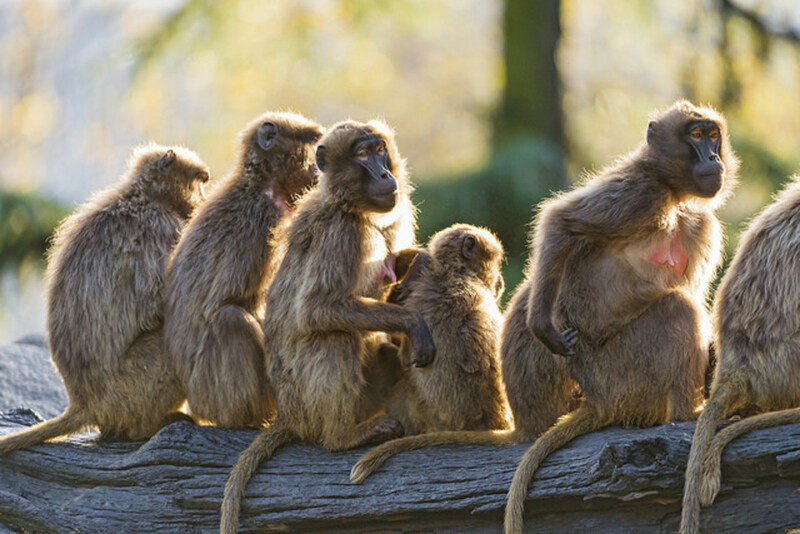 Zoos seems to be the most educational (from the looks of the studies) by reinforcing information, so a pre-lesson before the visit sounds like the ticket, instead of just attending and expecting the zoo to bestow upon children learning. I remember going to the American Museum of Natural history and running past the bones of the 'boring' animals like coelacanths, but after taking vertebrate zoology and seeing how all these fossils were arranged in an evolutionary context, I found them fascinating and exciting. I even learned, despite a childhood enthusiasm for dinosaurs that pterodactyls and dimetradons aren't dinosaurs. Thanks for commenting. The information about the amount of time spent at an exhibit is interesting. 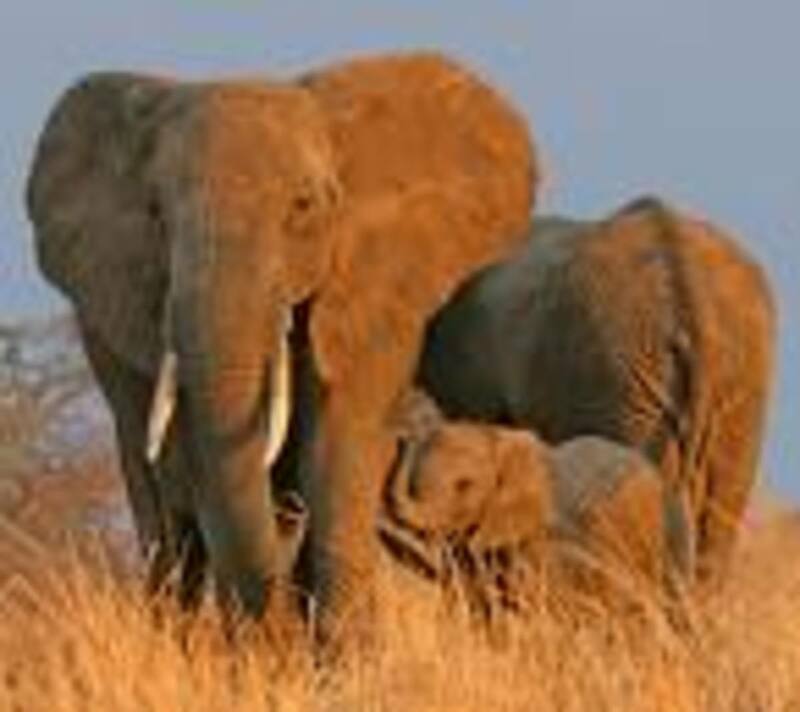 Whenever I have arranged a field trip, or taken my children for a day trip, we have prepared by focusing on one animal or group of animals (Animals from Africa, or Animal that live under the ground). When we go to the zoo, we spend more time at that exhibit as we observe that animal. The other exhibits we may visit only briefly (can't leave without saying "hi" to the elephants). 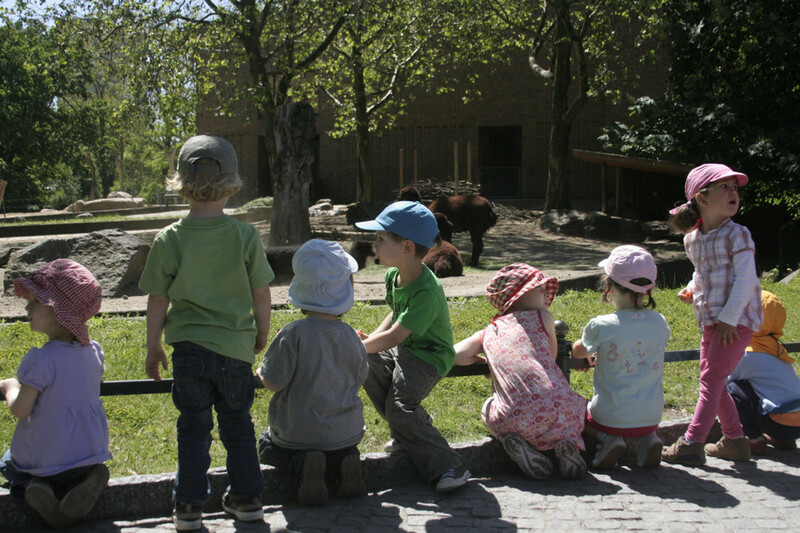 Focusing on different animals with each visit keeps the zoo an interesting place to visit, and a place to learn. Thanks for the encouraging words Eddy! Wow one brilliant hub Melissa ;you are indeed one amazing writer. Your obvious hard work having paid off and I vote up plus share. Enjoy your day. Yes, many animals feel secure in the environments that they are used to. Very well researched article, showing both sides of the issue. I love zoos and often visit them. I also interviewed the head of the Manila Zoo. He told the story of how a Philippine crocodile escaped from his cage when it rained and there were floods. A worker was checking out the zoo and when the crocodile saw him, he turned tail and ran all the way back to his cage. In some ways, maybe they see their cage as home. Thanks Ann1Az2. Natural enclosures are also more attractive. As a kid, I enjoyed zoos. As an adult, I much prefer wild life refuges. I went to the Smithsonian as an adult, and really enjoyed it. Zoos that have more natural habitats for the animals just seem better to me. You don't always get to see the animals up close, but as an adult, you recognize that that just makes it more natural for the animal. You make some good points and I agree with your idea for zoos being used as tools, especially for children. Good hub. It really shows how zoos aren't the "evil animal prisons" that those activists make them out as.